In today¡¦s world it makes sense to build your skills, to have a second income stream, and to have a plan for creating your own full time work. In today¡¦s world many individuals are in need of coaching through change; does it make sense to meet that need? Start by evaluating your motivation for coaching. What is it about the work that drives you? What do you want to accomplish? What special value do you provide? Answer these questions for yourself. Then look back at your answers and check yourself on one thing: are you focusing on yourself, your legacy, how others see you, your money, your power? Or are you focusing on empowering others? If the answers are a focus on you, perhaps you would achieve more of what you want through public speaking, publishing, politics, or broadcasting. If your answer focuses on others, move forward with coaching work. Although coaching is an uncontrolled industry and certification is not required, the natural next step is to explore training options. There are multiple options, ranging in time from a few hours to 5 years or longer, ranging in cost from hundreds to thousands. It is important to identify which works for you based on your current level of experience and expertise, your timeline, and your budget. Training to coach others is about developing yourself professionally, learning technique, and establishing yourself as a credible coach. I recommend face-to-face, focused training. 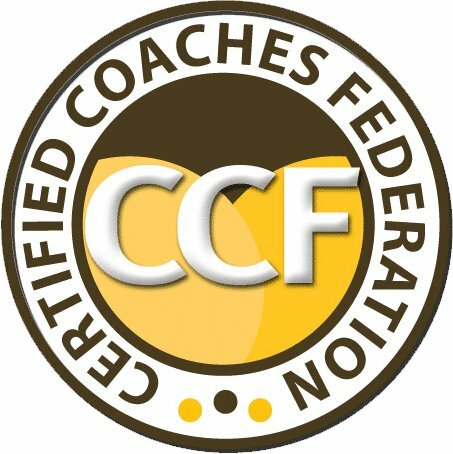 For me personally, the choice that made the most sense is the Certified Coaches Federation because the training is focused, practical, effective, and a sound, affordable financial investment. Because the method for this training easily prepared me for coaching, I now realize a solid income while truly expanding opportunities for my clients. Sharing this abundance so that others expand their coaching skills is a natural extension of my life goals. Now I facilitate the course in your area. Visualize your opportunity! For more information, call Master Coach Cathy at 843-209-2641, email Cathy@CathyLiska.com or visit www.CertifiedCoachesFederation.com.